Kabbage Inc. was established in 2008 by Rob Frohwein, who recognized the need for a vastly improved lending infrastructure. Together with co-founders Kathryn Petralia and Marc Gorlin, Rob developed a fully automated and 100% online method of providing financing. The Kabbage small business product is a permanent line of credit up to $100,000. Businesses use their own data to apply online and receive an immediate decision. The Kabbage data platform continues to monitor each customer and adjust credit lines as needed. 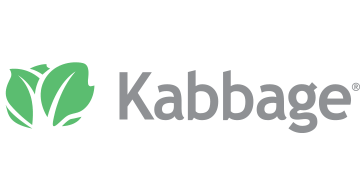 Kabbage also licenses its fully automated data and technology platform. Large banks and other organizations can configure the platform to provide seamless, automated financing to their customers. Today, the Kabbage Platform has funded more than $3 billion in loans directly through kabbage.com and karrot.com and through relationships with partnering organizations worldwide.